Each lead is formed with precision injection moulding to provide a unique profile ‘crispness’ and shape consistency throughout the range. Fitted with a special one piece In-Line Safety Sleeve which securely grips a size 7 swivel allowing the lead to pull free and slide off in the event of a jam or breakage. This creates a stream lined and tangle free lead system that can be safely used with leadcore, tubing or shockleaders without modification. 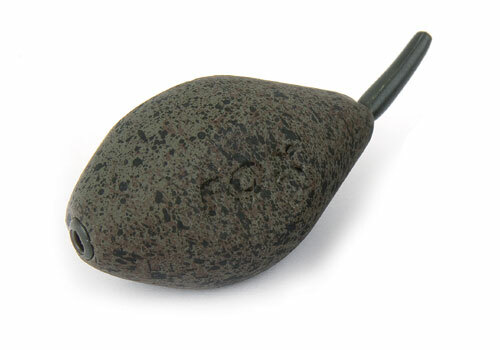 Available in a size to suit every possible casting scenario, the In-Line Tri-Bomb is finished in a matt, non-reflective ‘clay brown’ with gravel speckles ensuring it will blend in discreetly with just about bottom.